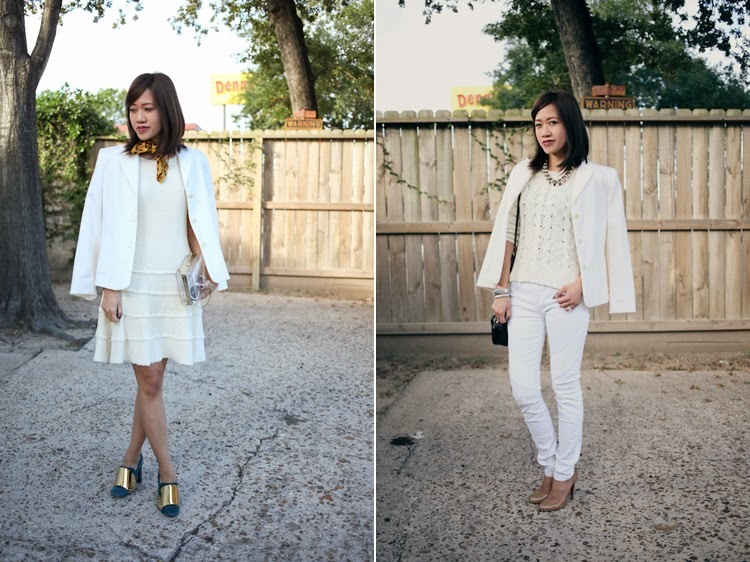 Recently Joy Sewing from the Houston Chronicle, asked me for some winter white outfit photos, of course i obliged. i've got plenty of that in my closet. O_O i really like the whole monochromatic look, it's just so crisp looking, i should really do it more often. i'm inviting you to my $50 voucher giveaway from persunmall! I'm a big fan of all white outfit and those two looks are amazing! I love the all white theme! Those teal shoes are everything. Your all-white look is beautiful, but I can't keep my eyes off the shoes!